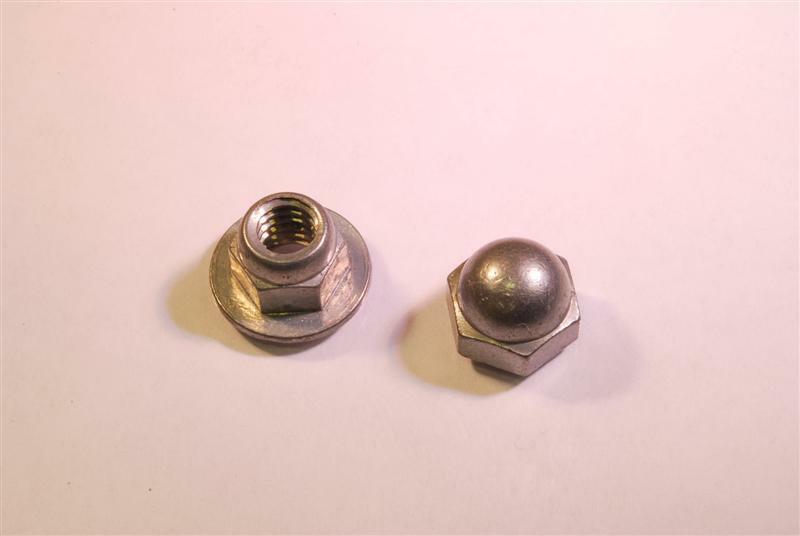 Standard and metric acorn nuts are used as decorative pieces or to provide a safe cover for exposed threads. Acorn nut bolts are available in various materials and finishes, with many convenient sizing options. Hex acorn nuts are constructed from zinc and are layered with either a plain or nickel finish. The acorn nuts domed end also protects the screw and bolts from stripping, which allows for reuse after maintenance. Contact us for more information regarding JHP’s standard and metric acorn nut options for your project needs.JHP's acorn nuts are most commonly sold in a low crown, closed end style, acorn nuts are used as decorative pieces or to provide a safe cover for exposed threads. Our acorn nuts are available in various materials and finishes, with many convenient sizing options. Acorn nuts are very simple to install. They can either be hand or wrench tightened, depending on the application and tightness level that is warranted. To fulfill all your project needs, JHP Fasteners provides both open and closed end hex acorn nuts. Contact usfor the highest quality standard and metric acorn nuts in the industry, or call us at 800-783-0910 with any questions you may have.